Use to get a feel for a different style, layout, or color. 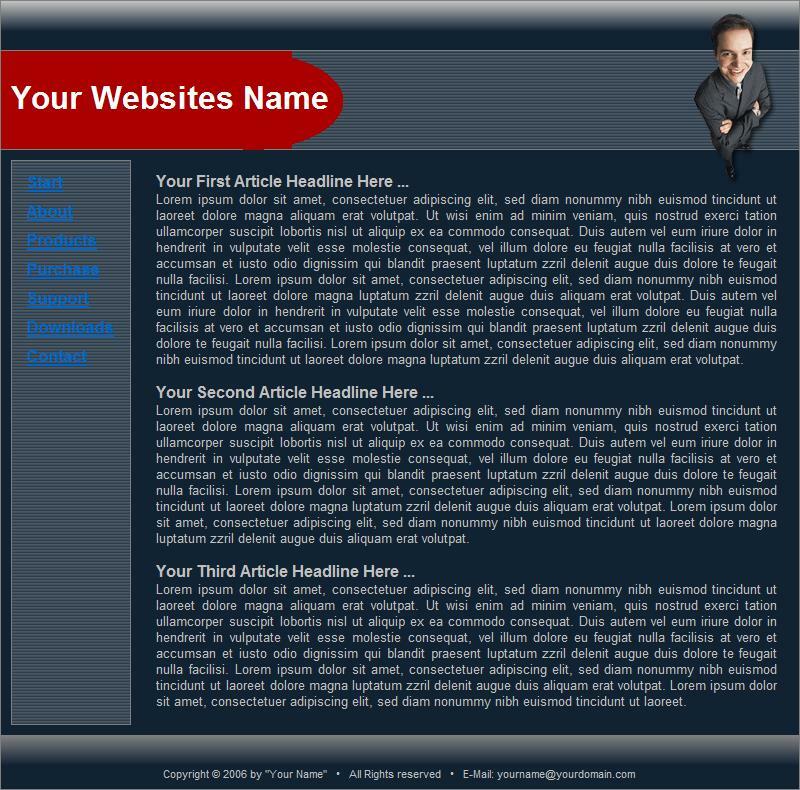 Templates can be altered to suit your website needs. Copyright © Build Websites Cheap 2003 • All rights reserved.